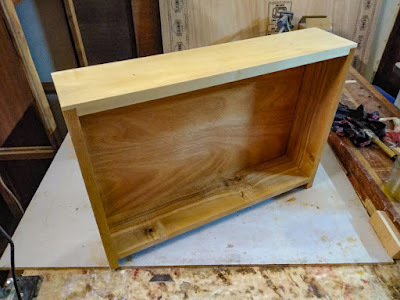 Yesterday I finished making a small, shallow drawer for a wall cabinet. It was a project I had been putting off for weeks primarily because of lack of time. The last few days were good for woodworking with dark skies and intermittent rain outdoors. My workshop lit with warm daylight LEDs was a good place to spend time doing what I like most: pottering about with small projects. This time I decided to make the drawers with half lap dovetails in front and through dovetails at the back. 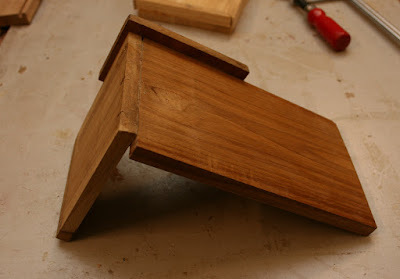 I hadn't cut dovetails in months and wondered how it would go. My Moxon vice coupled with a simple jig to hold the pieces while marking the pins and the use of blue tape along the edges worked well. The blue tape, as suggested by some woodworkers on Youtube, shows exactly where to saw and helps produce a more accurate cut. My weak eyes would often strain to out a thin knife line in darker woods. My ill-lit workshop didn't help either. Three recently installed super bright LEDs made a big difference in accurate marking and cutting. At any rate, the drawer dovetails came out just fine which was a relief. A couple of weeks ago while making a drawer for a cabinet I had chosen the expedient of rebates instead of dovetail joinery. 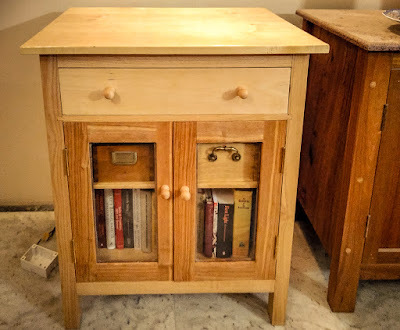 Upon seeing the Facebook photo of my incomplete Ash cabinet, Merwin D'Souza a woodworking enthusiast from Bombay had remarked he would have liked to see me make a traditional drawer complete with half blind dovetails. I was torn by indecision. 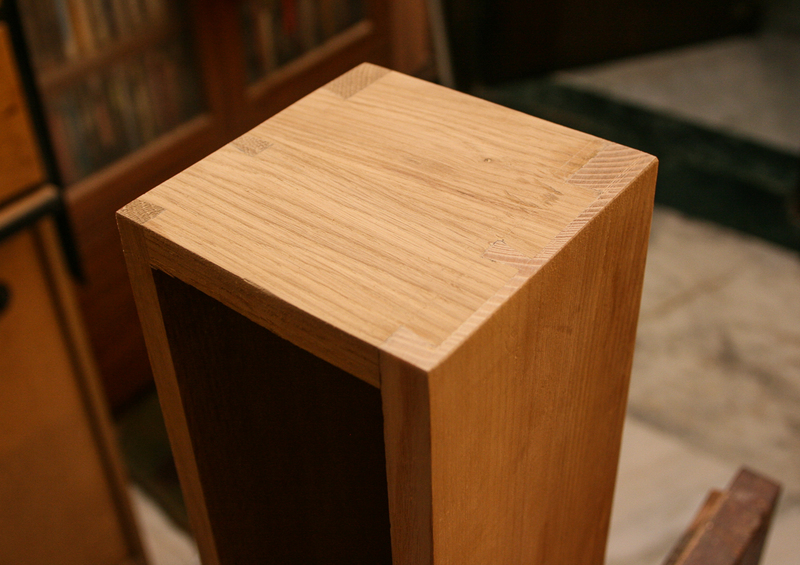 Half blind dovetails are a thing of beauty but does every occasion call for one? Not this time I thought, busy as I have been trying to complete a built-in cupboard project. I went ahead with rebates in the front and two housing or dado grooves at the back for the drawer. 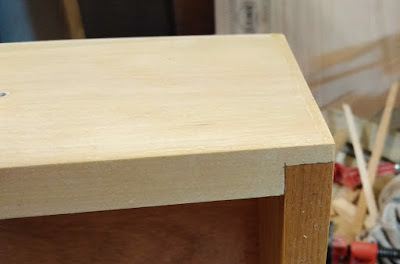 For added strength, I drilled three dowel holes in each side in the front and hammered in dowels with a bit of glue. 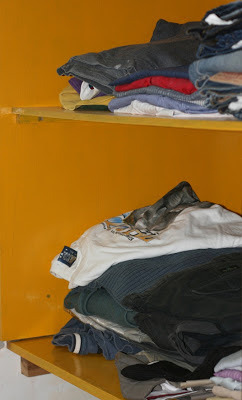 While this method might seem lacking it nevertheless is good enough for most purposes. 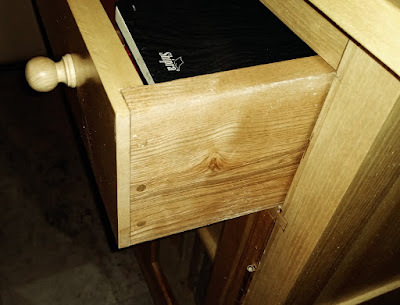 The drawers are strong and will last a lifetime. Dovetails of course are stronger and very pleasing to the eye. But I think I will mostly go with the rebate method in making drawers. This will help me get on with my projects instead of them lingering on for weeks. Sometimes the practical and quicker option is the best. I can of course always choose to change my mind later. 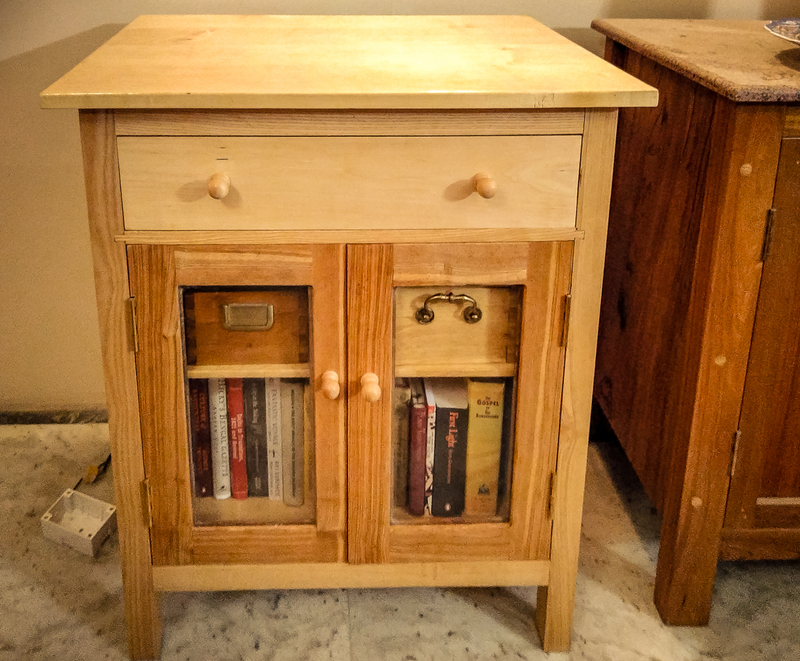 Nice looking cabinet (and drawers), Indranil. 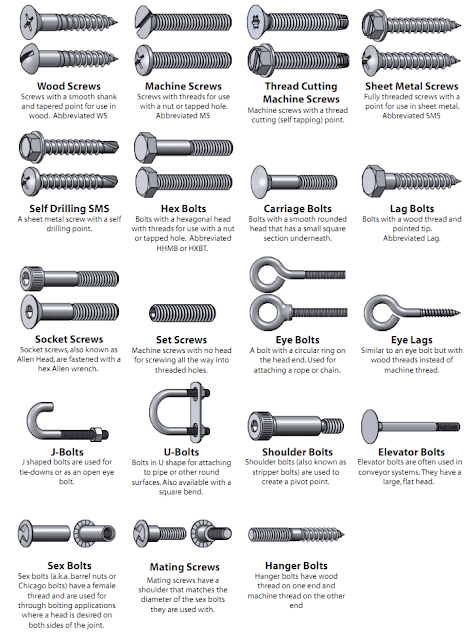 (polish) and what clamps- brand and type you use for such projects? thanks. 1. 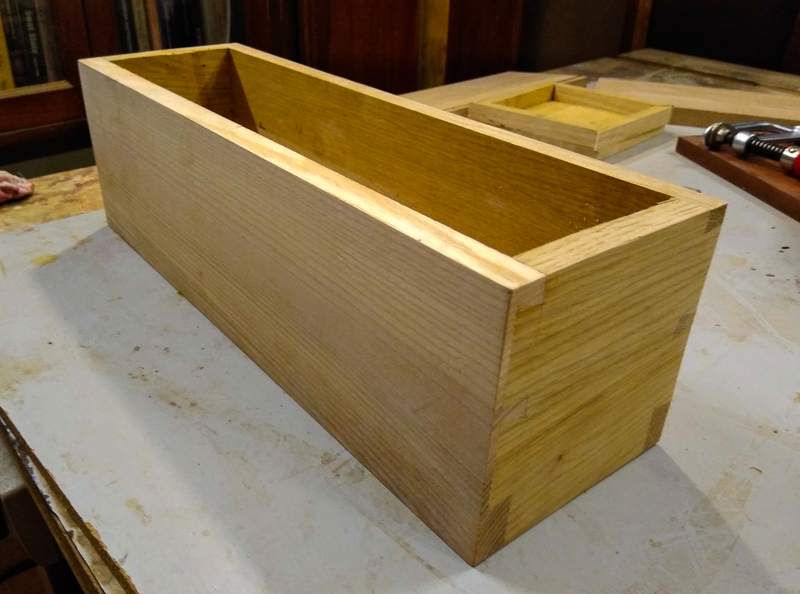 In this project I have used Maple for the drawer front and Ash for the insides and a 6mm plywood bottom. 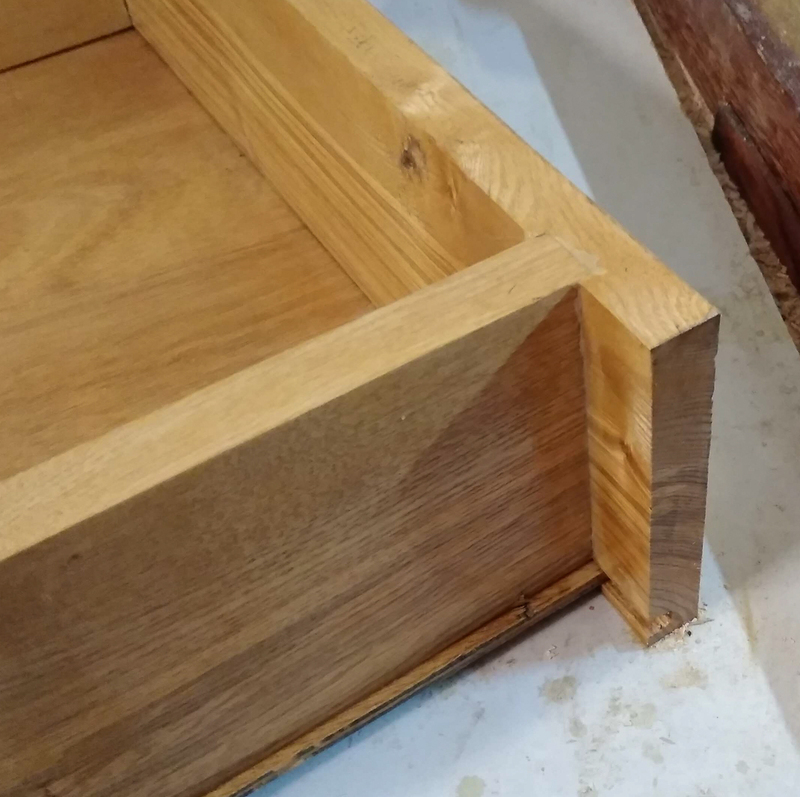 Virtually any wood can be used for making drawers but only the face side needs to be good looking. 2. Most of my clamps are unbranded though I have a few Bessey pipe clamps and Irwin F-clamps. Hope this answers your question.